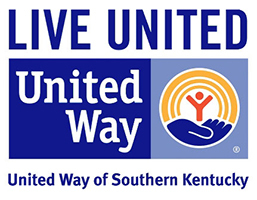 These services are available to residents in Allen, Barren, Butler, Edmonson, Hart, Logan, Metcalfe, Monroe, Simpson, and Warren Counties in Kentucky. The main office is in Bowling Green with satellite offices for additional counseling services located in Glasgow, Franklin and Russellville. Hope Harbor’s 24 hour services are designed to provide immediate crisis response to victims of sexual violence in the Barren River Area Development District. Our trained advocates provide support, information and referrals to survivors of sexual violence and/or loved ones. These services include our 24/7 hotline, medical accompaniment, and legal accompaniment. Hope Harbor trained advocates are always available to answer our 24/7 number. This nonjudgmental and confidential service provides survivors and loved ones an opportunity to ask questions and discuss thoughts with the advocate. Whether it is a question about legal options or an ear to listen, an advocate is available. Hope Harbor recognizes the importance of empowering survivors in their decisions following an assault. A survivor is not obligated but might choose to seek medical services and/or evidence collection following a sexual assault at a hospital emergency department. Our regional hospitals are required by KAR 502.012.010 to call to request an advocate from Hope Harbor to offer support and information for the survivor and those accompanying them during this process. Our trained advocates offer information about survivor rights, the sexual assault forensic exam (SAFE), and additional Hope Harbor services. At the request of the survivor, the advocate may be present for support during medical or forensic exams. If the survivor has chosen to report to law enforcement, the survivor can request a Hope Harbor advocate be present for the interview. What are my options if I was assaulted? The Sexual Assault Forensic Exam’s (SAFE) purpose is to collect evidence and DNA from the survivor. This evidence, along with a written detailed account of the assault, can go on to be used in a legal investigation. Have a Sexual Assault Forensic Exam (SAFE) performed and file a police report. Request to have a SAFE performed but choose not to report the assault to the police. Receive medical treatment for any injuries and prophylactic treatment for sexually transmitted infections, not have a SAFE performed, and not report the assault to the police. File a police report but choose not to have a SAFE performed. Decide not to seek medical care or report to police. These are not decisions that have to be made immediately. The survivor can report a sexual assault to law enforcement at any time. The SAFE is suggested to be completed within 96 hours (four days) from/of the assault. Hope Harbor encourages you to do what YOU feel is best in regard to seeking medical care or police involvement. You are always welcome and encouraged to call our crisis line at (270) 846-1100 with any questions or concerns following a sexual assault. When reporting to a law enforcement agency, a survivor may ask the agency to request an advocate from Hope Harbor to be present to provide support before, during or after making the report. The advocate will provide information about additional services available from Hope Harbor and offer crisis intervention counseling. Whether it is a few days after the abuse or years after—whether the assault happened locally or outside of our service area—we are here to help. We offer free, confidential counseling services to survivors of sexual violence and everyone else in the community who has been affected by this crime, including survivors’ acquaintances, friends, family and partners. Our goal is to assist clients in the healing of issues that stem from the trauma of sexual violence, helping them to cope with the immediate crisis and regain a sense of control and trust. Our counselors use a variety of trauma-informed, evidenced-based therapeutic approaches, including but not limited to, Cognitive-Behavioral Therapy, Trauma-Focused Cognitive Behavioral Therapy, Solution-Focused Brief Therapy, Narrative Therapy, and bilateral stimulation (i.e. Eye Movement Desensitization and Reprocessing). The goal of this service is to ease and enhance the survivor’s experience with the legal process. Legal Advocacy refers to the provision of education, accompaniment, support, and assistance for individuals impacted by sexual violence at any stage of the criminal or civil justice process. The advocate works with victims of sexual violence to explain legal procedures, identify relevant options and available resources, provide encouragement and support, and act as a liaison between victims of sexual trauma and the legal system. In addition to accompanying victims to law enforcement interviews, attorney meetings, and court hearings, the advocate can also assist victims in preparing Victim Impact Statements, filling out Crime Victim Compensation forms, and registering for criminal case information and notification (VINE).